Poplar Springs Baptist Church Cemetery, Ware Shoals, at 3:30 pm. Grandsons will serve as pallbearers. Honorary pallbearers will be members of the Gleaners/Fidelis Sunday School Class and Jessie Mobley Circle. The family will receive friends at Bland Funeral Home Monday evening from 6-8 pm. 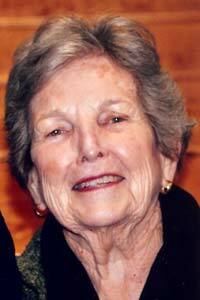 Mrs. Davis, a native of Ware Shoals, died, Friday, July 4, 2014. She was a daughter of the late John Thomas and Nellie McCurry Calvert. She was a retired media specialist, member of the Edgefield County Hospital Women’s Auxillary, Gleaners/Fidelis Sunday School Class, and the Jessie Mobley Circle. Memorials may be made to Kangaroo Kids Backpack Ministry c/o Mt. Calvary Lutheran Church, 1186 Mt. Calvary Road, Johnston, SC 29832.